Those words have become infamous over the past year in the WWE. They may just be two simple words, but when you hear them, the atmosphere changes in the building. When you hear it, you know it’s time for the Wyatt family to make their presence felt. When the Wyatt family debuted last year, you knew that it was going to be something that could last a while. A back woods family preaching all sorts of random messages instantly was both creepy and intriguing. The leader, Bray Wyatt, calling himself the “eater of words.” Another one, Luke Harper, just standing there. And who was the guy in the goat mask? It was such an interesting concept of a storyline, and they instantly clicked with WWE fans. 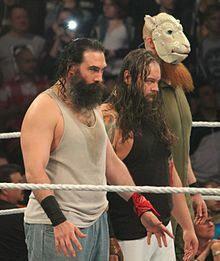 Now, almost a year after their debut, you have Harper and the goat masked guy, Erick Rowan, competing for the tag team titles and Wyatt battling for the WWE World Heavyweight Championship in a “money in the bank” ladder match. Although everyone expected the Wyatt family to win titles eventually, I don’t think many people thought they would have a chance this soon. Although it is unlikely that they walk away with gold at the 4th annual “Money In The Bank” event tonight, the fact that they’re competing for titles this early into their careers is something to be said. By the end of the year, expect all three of them to be champions, which could be the best thing WWE could do. This is why. If you ask any WWE fan “what is the best thing going in WWE right now?” most will say the Wyatt family. After starting out with an okay feud with Kane, their next feud with Daniel Bryan is what would take them to another level. The feud even saw Bryan join the Wyatt family for two weeks, although he did eventually turn on them in a great Raw moment. Then, WWE fans all around the world had their dreams come true, as the Wyatts and the Shield battled each other in a 6-man tag team match that lived up to all expectations. Recently, Bray has been in a feud with John Cena, while Harper and Rowan are battling with the Usos, who are the tag team champions. Not only has their in-ring work been getting better, but also their connection with the fans has gone off the charts. 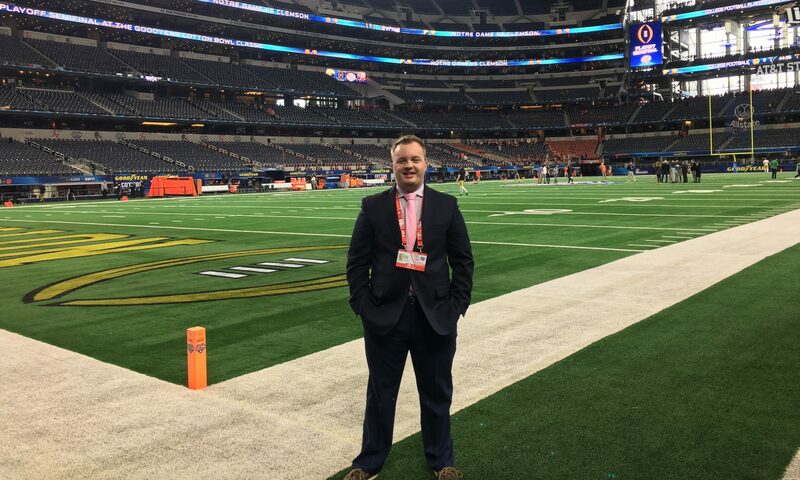 “Follow the buzzards” is what they always say, and every week, it seems more and more fans are joining in. During their entrance, you can see thousands of people using their flashlights on their phones as if they were lighters, singing and moving along to their music. Everything about the Wyatt family is hot right now, and WWE needs to capitalize on this. Let’s just focus on one man though, and that’s Bray Wyatt. It’s no secret that WWE has lost a lot of fans from the Attitude Era of the late 90’s and early 2000s. Guys like Stone Cold Steve Austin, the Rock, and the Undertaker aren’t competing anymore (except for WrestleMania for Undertaker. But that’s a story foe another day), and guys like John Cena and Randy Orton are losing some momentum as top guys of the company. This is a transitional time for the WWE, not only with the talent, but also for the company as a whole, as they try and deal with the side effects of the WWE Network. With no WWE World Heavyweight Champion currently, it’d be a smart move to give the title to someone who is currently “over” with the crowd. That man is Bray. Think of how incredible the promos would be with Wyatt holding the title. Wyatt is such a heel that he could feud with anyone, even current heels on the card. Wyatt’s in-ring work has grown insurmountably over the past year, and he seems primed to carry the company as its champion. He can re-ignite his feud with Bryan, who was the champion before getting injured. Those matches would become even more incredible, as Bryan and Wyatt are the two of the most over guys in the company right now. Having them fight over the title would take their rivalry to a whole other level.